In writing some of the On This Day features for Tor.com, I’ve been privileged to learn more about some of the greatest writers in the SFF canon. One thing that has continually impressed me is the way these people treated writing as a job. They didn’t wring their hands over their genre’s marginalization, or complain about writers block—they just told stories. Sometimes the stories hit, sometimes they didn’t, but these writers knew there’d always be another one to tell, and in the meantime the rent was due and the kids needed to be fed. Richard Matheson, whose birthday we celebrate today, is an excellent example of this old school work ethic. He found a path that ran right between churning out scripts for money, and telling stories that resonated with people, and he did it with little fuss and less fanfare. Where Vance, Anderson, and Herbert shared a houseboat, Bradbury lectured to college students on craft, and Asimov wrote encyclopedias in his spare time, Matheson seemed dedicated to being a working writer, not seeking any particular genre adulation, wacky hijinks, or mainstream cred. And rather than just phoning in scary stories, he added elements that gave his characters real depth. In his genre-hopping career, he wrote Westerns, science fiction, fantasy, horror, psychological drama, and war stories that drew on his experience in World War II. He wrote for both Hammer Studios, and Roger Corman’s influential Poe adaptations, helping to create a style of horror that defined mid-20th-century film. One of these films, The Pit and the Pendulum, is the most twisted of all the Corman films, and centers on an exploration of gender and religion that remains resonant today. 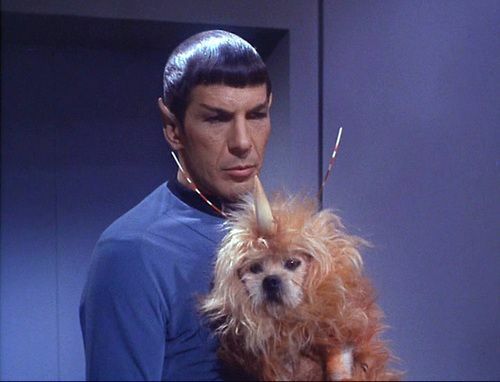 He wrote the original teleplay that became Kolchak, the Night Stalker, as well as scripts for Alfred Hitchcock Presents, Twilight Zone, and Star Trek, giving each of these series some of their most memorable moments, from Spock holding a cocker-spaniel-unicorn to “Nightmare at 20,000 Feet.” People remember the gremlin, or John Lithgow’s crazed performance in the 1983 Twilight Zone film, or “There’s a man on the wing of the plane!” These are all fine things to remember. But really, at the heart of the story sits Bob Wilson, a frightened man, fighting off mental disintegration. In his second published story, “Born of Man and Woman,” Matheson uses the point of view of the “monster” to show us that it’s actually just a frightened child. In one of his first television scripts, an episode of the Western series Lawman, Matheson subverts the usual “duel at high noon” scene by revealing that the seemingly evil gunfighter, Yawkey, had walked into the fight with an empty gun. Rather than feeling satisfied that a noble sheriff has dealt out justice, we’re forced to identify with a suicidal man who has killed himself in the only way that wouldn’t tarnish his reputation. Duel is notable for establishing Steven Spielberg as a film director, and it’s a truly terrifying story, but it’s worth re-watching because we’re there in the car with David Mann, and we don’t know if we’re going to make it home. Perhaps most movingly, I Am Legend confronted a terrifying truth that most dystopias ignore. In this changed world, the doomed man whom you’ve spent the entire book caring about, the last human, haunted by memories of his old life? He’s actually the villain. He has outlived his time, and each attempt to force his subjective truth onto the “vampires” is an act of violence against them. Matheson isn’t afraid to let the truth of Robert Neville’s situation, in all of its horror and pathos, roll backwards across the story, and he isn’t afraid to make us empathize with Neville anyway. Matheson was never out to scare people. He took writing assignments that could have been rote exercises in terror vengeance, and turned them into vehicles for identification, empathy, and compassion. And he did it all on deadline. This article was originally published February 20, 2014. Leah Schnelbach would have talked about “A World of His Own,” too, but she has a deadline to meet. Occasionally, she exists on Twitter.